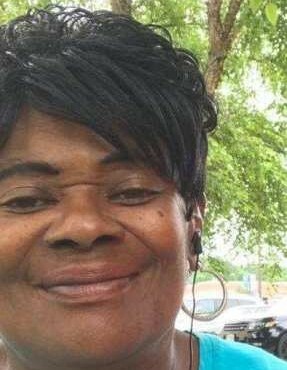 Sharon Michele Bullock was called to eternal rest by her Heavenly Father at her residence on April 5, 2019. She was preceded in death by her father, Wilbert Bullock, brothers Timothy and Carl Bullock. Sharon was born August 16, 1960 to Rachel Bullock and the late Wilbert Bullock in Newport News, Va. Sharon attended Newport News Public Schools. She accepted Jesus Christ at an early age. She worked for the City of Newport News until her health declined . She was a friendly person with a heart of gold, and was loved by many. Her favorite pass time was singing the choir Bethel Christian Church. Sharon leaves to cherish her memory her loving daughter, Sheeniqua Bullock, of Gastonia, North Carolina; her mother, Rachel Bullock, Hayes, Va; her siblings, Charlene Bullock-Ruth (Mac), Sandra Bullock Thompson (Robert), Millicent Parker, Gregory Sr, Larry, Reggie, Wilbert, Vincent Sr, and Randy Bullock. Expressions: The family would like to express sincere thanks for all acts of kindness shown toward us during our time of need. May God continue to richly bless you in his own special way. May God Bless You All.